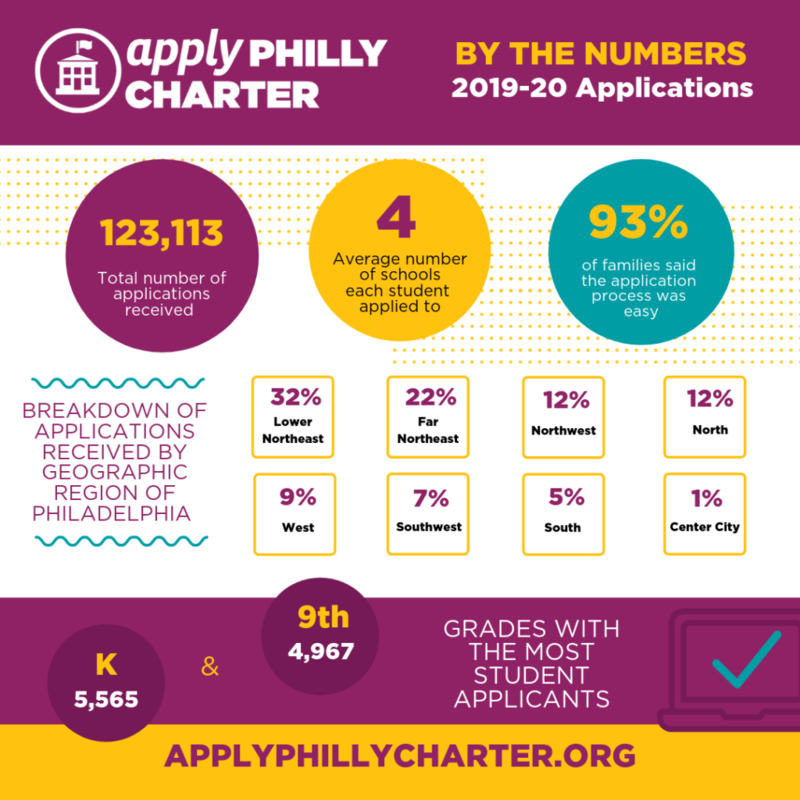 Nearly 30,000 students submitted more than 120,000 applications for Philadelphia charter schools this year through a new website that allowed families to apply to multiple city charter schools at once. More than half of the applications — 54 percent — came from the Lower and Far Northeast sections of Philadelphia, according to Philadelphia School Partnership, the nonprofit that ran Apply Philly Charter. The application process through the website closed Monday. Philadelphia School Partnership spokesperson David Saenz said the concentration of applications from the Northeast wasn’t surprising, because more than 35 percent of the city’s school-age children live there and some neighborhood schools are overcrowded. He also said the “biggest and best-known” charters that participated in the new website were in the Northeast — including MaST’s three schools, which got more than 27,000 applications. About 12 percent of the applications came from North Philadelphia, and another 12 from the northwest sections of the city, Saenz said. Charter schools, which are publicly funded but independently run, currently serve about 70,000, or one-third of Philadelphia public school students. Most of the city’s 87 charter schools participated in the new effort, which leaders said would make the charter application process simpler and fairer — and would be a less dramatic step than unifying the city’s enrollment system. To apply to participating schools, families had to use the website or call a number for help. The applications were for students looking to enroll in one of the participating charter schools — whether they attend a district or private school, another charter school, or will be entering kindergarten. On average, each student applied to four charter schools. One-quarter of students applied to just one, while 75 percent applied to five or fewer, according to Philadelphia School Partnership. Joanna Hightower, CEO of Alliance for Progress Charter School in North Philadelphia, said the K-8 school typically receives 500 to 600 applications a year. This year, “we received 1,677 applications, to be exact,” Hightower said, calling the increase “fantastic.” Most of the school’s openings are in kindergarten, where Hightower anticipates having 75 to 78 openings. Charter schools have enrollment caps placed upon them by the district. Schools that participated in Apply Philly Charter will still hold their own lotteries and must notify families of the status of their applications by Feb. 19. While most of the Alliance for Progress school’s applications come from the surrounding areas, “I think using the tool has allowed for a greater reach in our city,” Hightower said. Philadelphia School Partnership didn’t release data on individual schools, except to say that the original MaST school received the most applications. It drew 12,800, while its newest school, a K-5 opening this fall, got more than 6,800 applications for 900 spots. Several more charter schools are expected to participate in Apply Philly Charter next year, according to Philadelphia School Partnership.